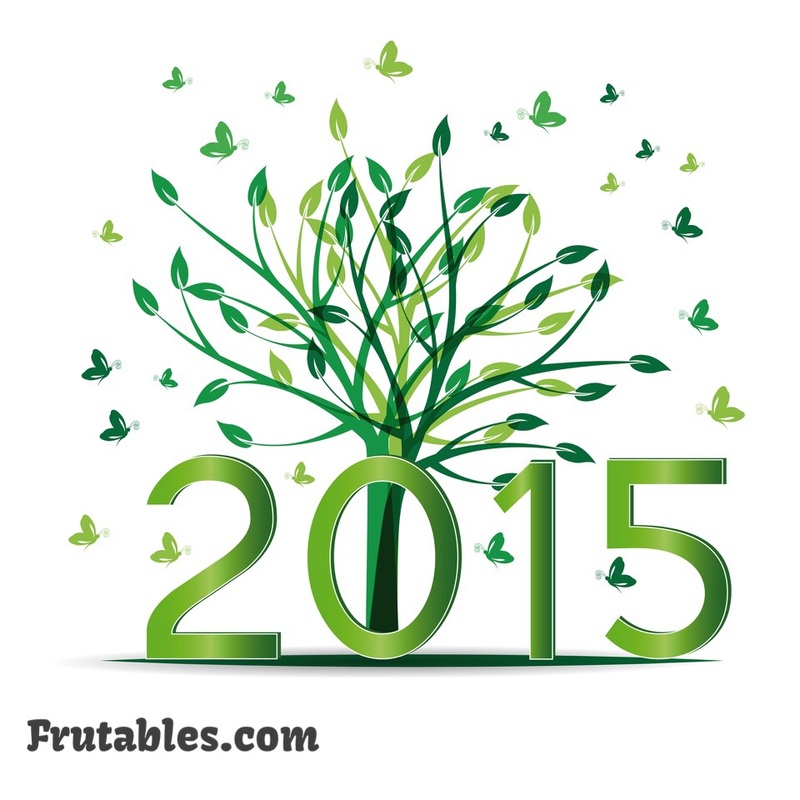 FRUTABLES WISHES YOU A HAPPY AND HEALTHY NEW YEAR 2015! 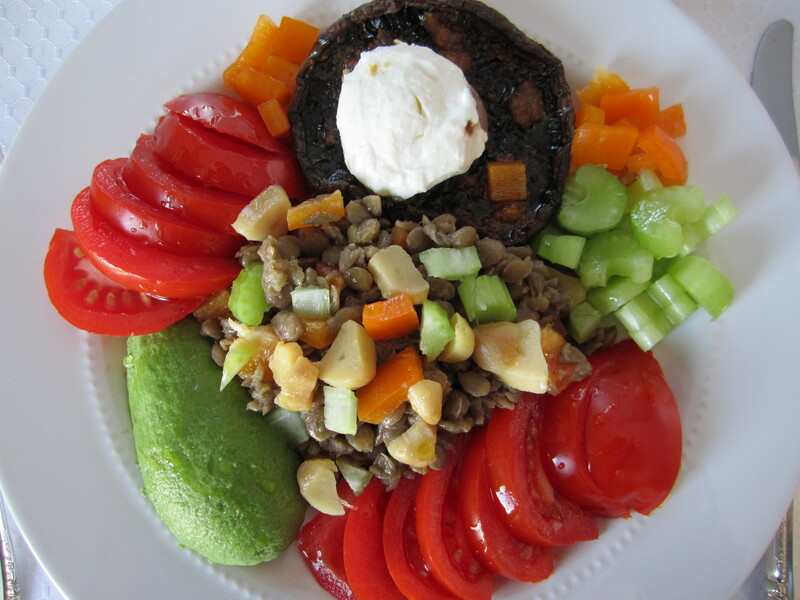 It is the first time that I tried this dish and it was very, very tasty. If you decide that you do not wish to have carbs during lunch but you want the visual satisfaction that you are having a traditional spaghetti dish, then this is it. It certainly was for me! I prepared the spaghetti squash following the instructions I found on the web: cut the squash in half lengthwise, remove the seeds, poured a little olive oil and added pepper; then, I put the two halves, cut side down, on a cookie sheet and placed them in a 375 degree oven for 40 to 50 minutes or until you can easily pierce the skin with a fork. Let it cool, and then, with a fork, start separating the strands. I added blanched kale and diced red pepper, seasoned with olive oil and apple cider vinegar, and added salt and pepper to taste. I finished the platter by adding some asparagus, tomatoes, and avocados sprinkled with shaved Parmesan cheese. 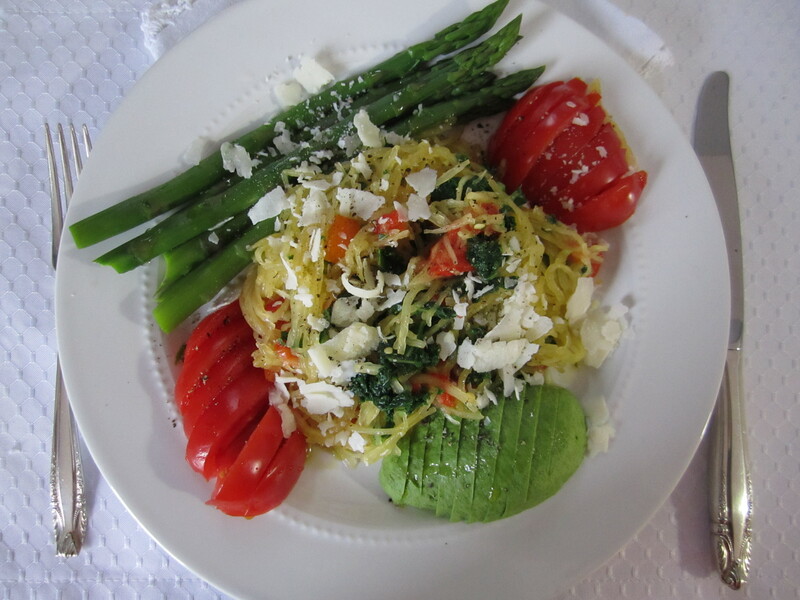 I found that the spaghetti squash had a neutral taste, but it took very nicely the flavour of the olive oil, vinegar and the parmesan cheese. Next time I will add to it some kind of pesto perhaps!